Today's card is for CPS 164. 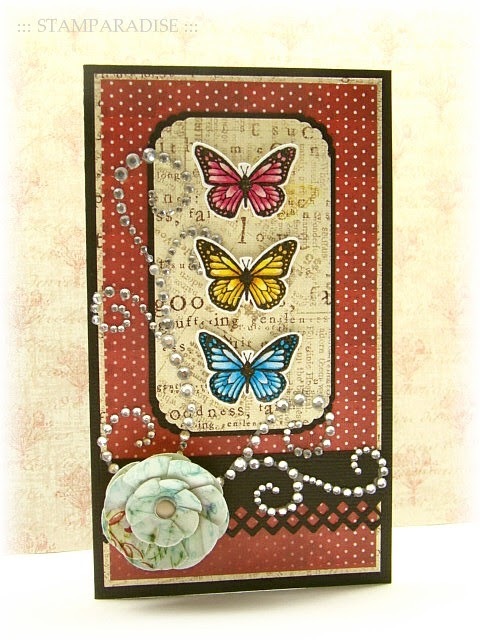 The butterflies were stamped with Real Black ink (Versa Craft) and heat embossed with clear EP. I colored them with Copic markers, cut them out and adhered with pop dots. The Blossom Nestabilities (Spellbinders) were used to make a paper flower. It was the first time I used swirl rhinestones for embellishment. I love the elegant look it gave my card. Good evening everyone! I hope you had a wonderful weekend. The elephant stamp I used on today's card is totally simple and quick one. It took only 3 minutes to carve!! LOL! A simple stamp matches a simple layout. Right? ;) So I used the sketch from Clean and Simple blog, FTL 87. I'm very happy with the result. This is the stamp I carved last night. 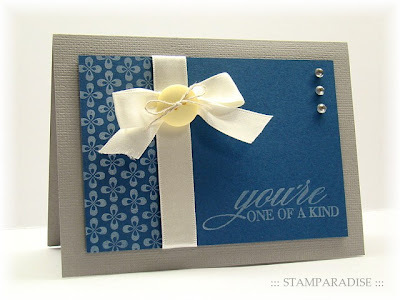 I thought it is necessary to have some background stamps to make a clean and simple card. 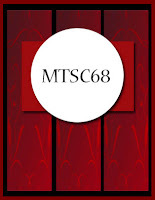 It was easy to make this design because I used the Inkscape, but it was not easy to trace it out precisely. 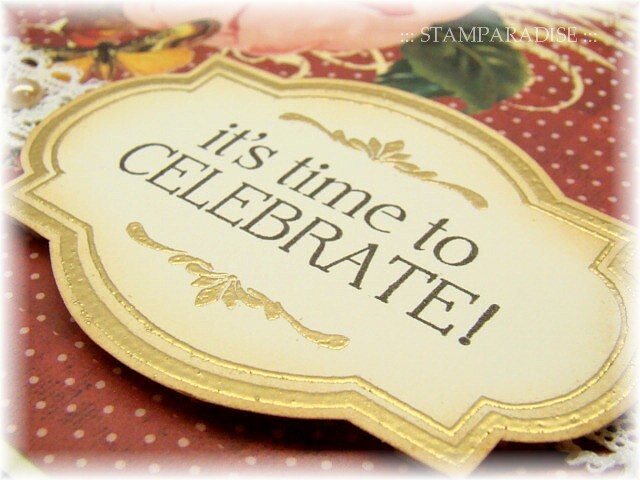 As you who carve rubber stamps know, there is no perfect hand-carved stamp without precise tracing!! Here is the card I made using this stamp. When I finished this card, I shouted "This is what I wanted to make!" LOL! I do love how it turned out. 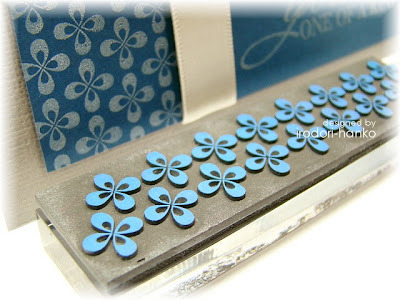 :) :) I'll make another background stamp shortly. Thank you for stopping by. Have a nice weekend! 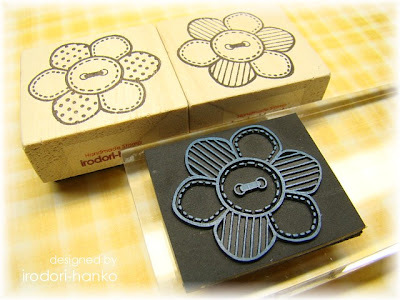 This photo is some of the stamps I carved last week. Unmounted one is for myself and the others are for sale. And here is a sample card. The layout is pretty simple! 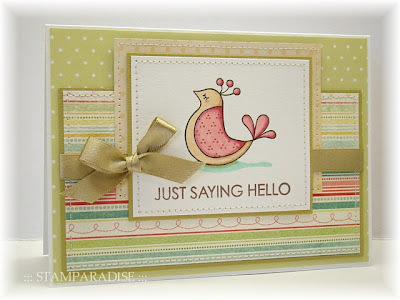 :)　I stamped the image three times with Real Black ink (Versa Craft) and colored them with Copics. I cut them out and adhered with pop up dots. I've uploaded some photos of new stamps in the gallery page of my website. Please check it out if you have time. I hope you like it! :) ---- Click HERE! Thank you for stopping by today.! 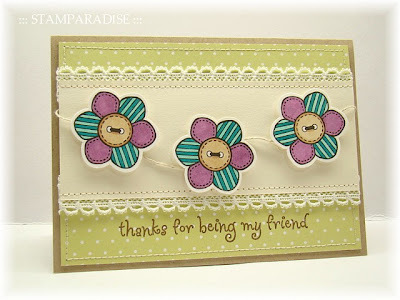 But I thought that I needed to take a break, so I made a card using one of stamps I carved last week. 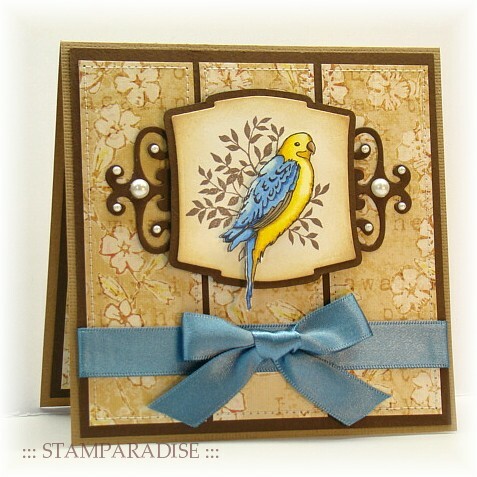 This card was used the sketch from this weeks Mercy's Tuesday Sketch Challenge (MTSC 70). The image was stamped with Real Black (Versa Craft), and was colored with Copics. I wanted to add some pink ribbon instead of gold satin ribbon, but unfortunately there was nothing which just matched to DP in my stash. Let's go on to today's card. This card was used the sketch from this weeks Card Positioning Systems, CPS 161. The bird image was drawn by me using the Inkscape. I colored it with Copic markers and cut it out. I made hills with the reverse side of the DP I used for the focal panel. I put some punched out paper under the clear buttons, and joined them together through some linen threads. 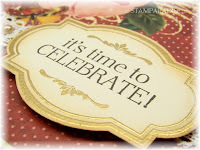 I have to concentrate on carving a lot of stamps for consignment sale next week. So I'll come back to here in the week after next. 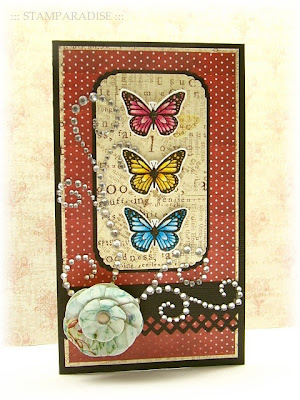 The card I'm showing you today is for this weeks Mercy's Tuesday Sketch Challenge (MTSC 68). I used a Label 2 die and one of the Fancy Tags die instead of the circle and rectangle panels on the sketch. The bird was colored with Copic Markers and adhered with foam pads. Some satin ribbon, a bow and some pearls were added for embellishment. 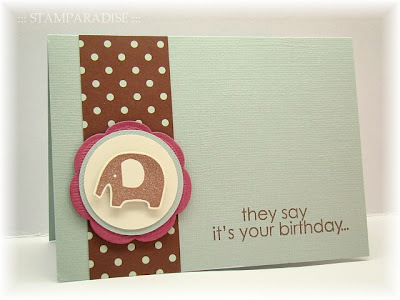 I'm also entering this card to the Pink Elephant Challenge 61 - the theme is Nature. Hello everyone! I hope you've enjoyed wonderful Easter holiday. We don't celebrate Easter in Japan, but I think many Japanese enjoyed "Hanami" on this past weekend. 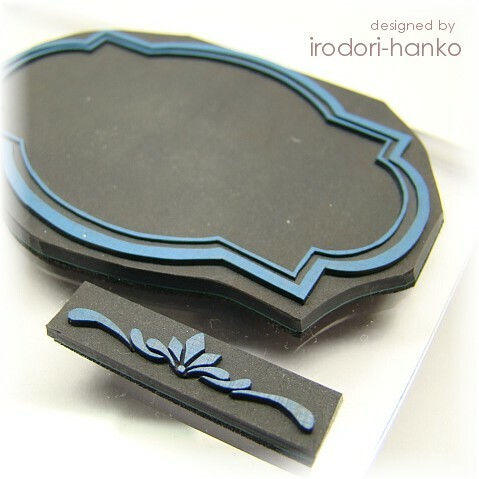 I said that I had a plan to carve some frame stamps. I completed one of those and added an opptional element. Here is a card I made with it. 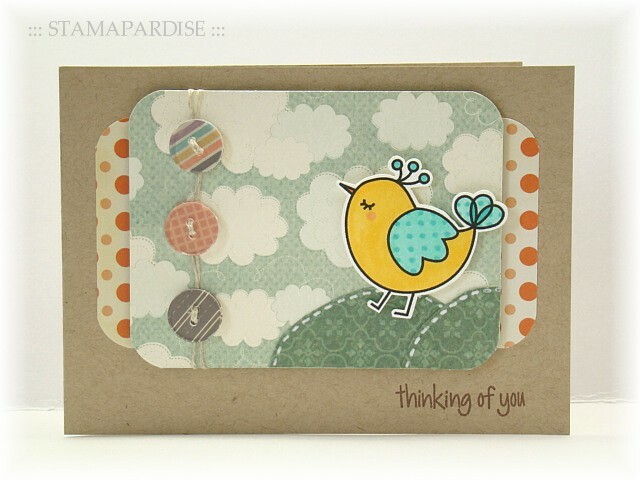 The card sise is 5" ×　5". I kept the layout simple because the DP I used was pretty showy. The frame and the ornament were stamped with VersaMark ink and heat embossed with gold EP. The edges around the frame were sponged with Antique Linen and Vintage Photo ink (Distress Ink) to tone down. I added some lace and chino pearls for embellishment. 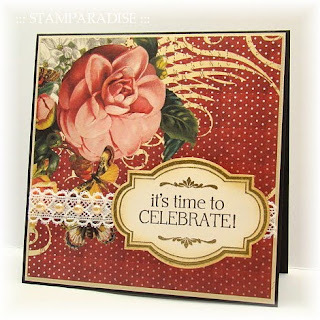 I'm entering this card to this week's ABC challenge - "R is for red".